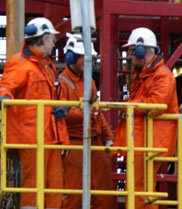 At MES we now include workplace risk assessment within our portfolio of services. Risk assessment at work is a cross-disciplinary area concerned with protecting the safety, health and welfare of people engaged in work or employment. The goal of all workplace risk assessment programs is to facilitate a safe work environment. As a secondary effect, it may also protect co-workers, family members, employers, customers, suppliers, nearby communities, and other members of the public who are impacted by the workplace environment. Workplace risk assessment may involve interactions among many subject areas, including occupational medicine, occupational (or industrial) hygiene, public health, safety engineering, chemistry, health and physics.